If you are a small business owner looking for ways to market, then this is the event for you. Spend the day learning tips, best practices from those in the small business marketing field. Gather with other small business owners for a day of networking, training, presentations, shopping and more. This is great preparation for marketing for the holidays and also kicking off your 2016 marketing & business goals. Text Marketing, SEO, Live Streaming, Blogging, Business Write Offs/Profit Strategies, and more. 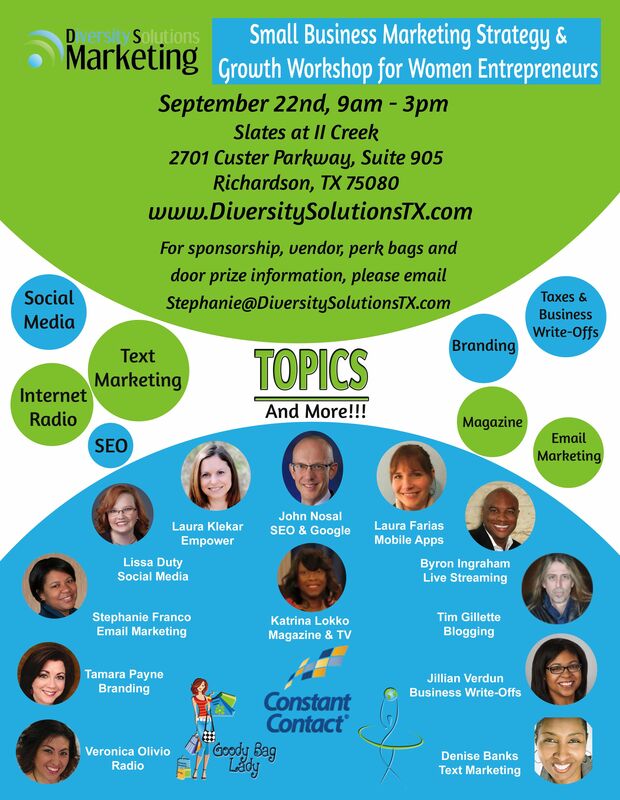 230-3pm Speaker Panel, Email Marketing Tips, Door Prizes, shopping, wrap up.